Dar Kenza features deluxe rooms, triples & family suites that have been lovingly restored in the authentic Moroccan tradition. 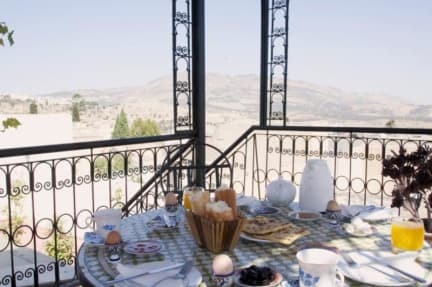 A family-run guesthouse, Dar Kenza offers affordable luxury in the heart of Fez's ancient medina. Located in the safest part of the medina & accessible by car, Dar Kenza is just a short stroll from the exotic souks & the famous Blue Gate of Fez, making our guesthouse an ideal base for you to explore the most complete medieval medina in the world. Dar Kenza also features a vast rooftop terrace with spectacular panoramic views over the medina - a perfect place to enjoy breakfast listening to the twitter of birds or take in the sunset over our magnificent city. We look forward to welcoming you to our beautifully restored Moroccan guesthouse. * Check Out: 12pm. If later than 12pm an extra night will be charged.